This website contains proprietary notices and copyright information, the terms of which must be observed and followed. This site and all content in this site may not be copied, reproduced, republished, uploaded, posted, transmitted, distributed, or used for the creation of derivative works without 3rd-i.info's prior written consent, except that 3rd-i.info grants you non-exclusive, non-transferable, limited permission to access and display the web pages within this site, solely on your computer and for your personal, non-commercial use. Any software and/or other materials that are made available for other use via downloading, or distributiom from this site with differing license terms, conditions, and notices will be governed by such terms, conditions, and notices. Your failure to comply with the terms, conditions, and notices on this site will result in automatic termination of any rights granted to you, without prior notice, and you must immediately destroy all copies of downloaded materials in your possession or control. Except for the limited permission stated above, lacking a contractual agreement to the contrary, 3rd-i.info does not grant you any express or implied rights or licenses under any patents, trademarks, copyrights, or other proprietary or intellectual property rights. You may not mirror any of the content from this site on another website or in any other media. Though perfection is strived for, information on this website is not promised or guaranteed to be correct, current, or complete, and this site may contain technical inaccuracies or typographical errors. 3rd-i.info expressly disclaims responsibility for updating this site to keep information current, or to ensure the accuracy or completeness of any posted information. Confirmation of the accuracy and completeness of all posted information pertinent to any services, products, or other matters described in this site is the responsibility of the end user(s). 3rd-i.info provides the software downloaded from this website to U.S. Government users with “RESTRICTED RIGHTS." Use, reproduction, or disclosure is subject to the restrictions set forth in IBM’s GSA ADP Schedule contract. This website may provide links or references to non-3rd-i.info websites and resources. 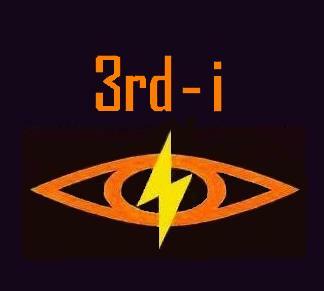 3rd-i.info makes no representations, warranties, or other commitments whatsoever about any non-3rd-i.info websites or other third-party resources that may be referenced, accessible from, or linked to any location on 3rd-i.info's website. Hyperlinks and/or live streams to non-3rd-i.info websites do not imply 3rd-i.info's endorsment of the respective owners, or the content or useage of gatewy accessible or otherwise referenced external websites. 3rd-i.info expressly disclaims responsibility for any transactions you may enter into with third parties, either linked to or referenced from the 3rd-i.info site. Useage of the 3rd-i.info website indicates you acknowledge and agree that 3rd-i.info is not responsible for the availability of external sites or resources, and that it is not responsible or liable for any content, services, products, or other materials on or available from those sites or resources. When you access a non-3rd-i.info website that may or may not display the 3rd-i.info logo, any such website is separate and apart from 3rd-i.info, and as such is an independent entity, and therefore, 3rd-i.info does not control the content of any such sites or site resources. It is up to you to take precautions to protect yourself from viruses, worms, trojan horses, and other potentially destructive programs, and to protect your privacy and information as deemed appropriate. It is permissible to link to this website insofar as the link and the pages that are activated by the link do not: (a) create frames around any page on this website or use other techniques that alter in any way the visual presentation or appearance of any content within this site (unless solely on your computer and for your personal, non-commercial use); (b) misrepresent your relationship with 3rd-i.info; (c) imply that 3rd-i.info approves or endorses you, your website, or your service or product offerings; and (d) present false or misleading impressions about 3rd-i.info or otherwise damage the goodwill associated with the 3rd-i.info name or trademarks. As a further condition to being permitted to link to this site, you agree that 3rd-i.info may at any time, in its sole discretion, terminate permission to link to this website. In such event, you agree to immediately remove all links to this website and to cease using any 3rd-i.info trademark. Certain text in this website may be made available in languages other than English. Text may be translated by a person or solely by computer software with no human intervention or review. These translations are provided as a convenience to you, and IBM makes no representations or commitments regarding the accuracy or completeness of the translation, whether or not computer-generated or performed by a person. USE OF THIS SITE IS AT YOUR SOLE RISK. ALL MATERIALS, INFORMATION, PRODUCTS, SOFTWARE, PROGRAMS, AND SERVICES ARE PROVIDED "AS IS," WITH NO WARRANTIES OR GUARANTEES WHATSOEVER. 3rd-i.info EXPRESSLY DISCLAIMS TO THE FULLEST EXTENT PERMITTED BY LAW ALL EXPRESS, IMPLIED, STATUTORY, AND OTHER WARRANTIES, GUARANTEES, OR REPRESENTATIONS, INCLUDING, WITHOUT LIMITATION, THE WARRANTIES OF MERCHANTABILITY, FITNESS FOR A PARTICULAR PURPOSE, AND NON-INFRINGEMENT OF PROPRIETARY AND INTELLECTUAL PROPERTY RIGHTS. WITHOUT LIMITATION, 3rd-i.info MAKES NO WARRANTY OR GUARANTEE THAT THIS WEBSITE WILL BE UNINTERRUPTED, TIMELY, SECURE, OR ERROR-FREE. YOU UNDERSTAND AND AGREE THAT IF YOU DOWNLOAD OR OTHERWISE OBTAIN MATERIALS, INFORMATION, PRODUCTS, SOFTWARE, PROGRAMS, OR SERVICES, YOU DO SO AT YOUR OWN DISCRETION AND RISK AND THAT YOU WILL BE SOLELY RESPONSIBLE FOR ANY DAMAGES THAT MAY RESULT, INCLUDING LOSS OF DATA OR DAMAGE TO YOUR COMPUTER SYSTEM. IN NO EVENT WILL 3rd-i.info BE LIABLE TO ANY PARTY FOR ANY DIRECT, INDIRECT, INCIDENTAL, SPECIAL, EXEMPLARY OR CONSEQUENTIAL DAMAGES OF ANY TYPE WHATSOEVER RELATED TO OR ARISING FROM THIS WEBSITE OR ANY USE OF THIS WEBSITE, OR OF ANY SITE OR RESOURCE LINKED TO, REFERENCED, OR ACCESSED THROUGH THIS WEBSITE, OR FOR THE USE OR DOWNLOADING OF, OR ACCESS TO, ANY MATERIALS, INFORMATION, PRODUCTS, OR SERVICES, INCLUDING, WITHOUT LIMITATION, ANY LOST PROFITS, BUSINESS INTERRUPTION, LOST SAVINGS OR LOSS OF PROGRAMS OR OTHER DATA, EVEN IF 3rd-i.info IS EXPRESSLY ADVISED OF THE POSSIBILITY OF SUCH DAMAGES. THIS EXCLUSION AND WAIVER OF LIABILITY APPLIES TO ALL CAUSES OF ACTION, WHETHER BASED ON CONTRACT, WARRANTY, TORT, OR ANY OTHER LEGAL THEORIES. Revolutionizing Spiritual Community Growth and Communications since 2014. Digital Aspectarian is an independent, nonprofit organization whose mission is to stimulate economic growth for metaphysical merchants and practitionars as well as practitioners of the healing arts and small local business. Please help to keep this publication free by supporting it's sponsors.